TBM Slurry system construction machine has a high degree of automation, saving manpower, construction speed, opening, climate, excavation ground subsidence. TBM slurry system can control, reduce the impact of buildings on the ground and digging water does not affect the transport characteristics of water, Long tunnel hole on the line, the depth of large, with shield machine construction more economical and reasonable. TBM separation and drilling and blasting are being used for construction of tunnels. Drilling and blasting uses various explosives or gas pressure blasting for breaking the rock to be excavated. Before the practice of Tunnel boring machine separation use drilling and blasting was the most economical ways to make tunnels through hard rocks. Even till date drilling is practiced in some places. The decision as to which mechanism for making tunnel is to be used depends on the length of the tunnel. Cost of TBMs is high but due to their fast rate of penetration and less man power necessity, per meter cost in long tunnel is comparatively very less. Even the condition of ground has to be taken into consideration as to which mechanism is to be used. – Excavation speed – Main advantage of TBMs is its speed. Their speed though depends on various factor is up to 100-150 meters per day in favorable conditions. In Norway these had reportedly excavated the rate of 300 meters in very extreme conditions. – Improved working conditions for workers- highly mechanized tunnel boring machine separation help the worker thus less intensive work has to be performed by them. – Simplified disposal- as the cutting are of similar sizes, their disposal to the surface is much easier. Due to this tunnel boring machine separation are cost effective and efficient in long drive tunnels with straight opening underground for workers. They cost one third of the cost of drilling and blasting and greatly decreased construction time. 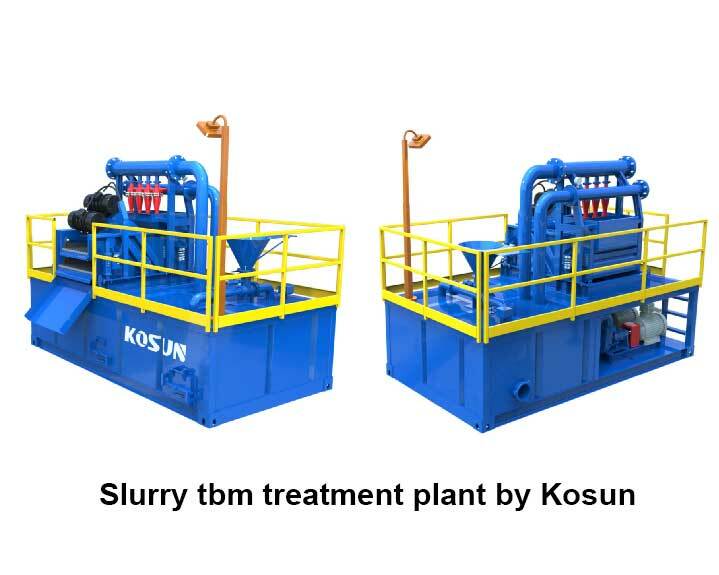 Slurry tbm treatment plant – Kosun has made the 24 years in site research and customizing work, and the new tbm slurry treatment have emerging the new needs in recent years. Tunnel boring machines have circulating cutter head at starting point and a league of trailers following which contains all electrical and mechanical equipment required during the process. It removes the excavated earth with the help of its rotating head that is the cutting end and a conveyer belt. Hydrauliccylinder presses the cutting end of the slurry tbm treatment plant against the tunnel. These hydraulic braces also keeps the machine stabilized. Cutting wheel is fitted with scrapping and disc cutting tools. These loosen the earth and the transportation of this loosened earth out of the tunnel is carried out by screw conveyer; this helps in backward moment of the earth in tbm separation units and later out by a conveyer belt. Pressure sensors are installed in tunnel face and they keep check on power of cutter wheel and conveyor also keeping in check with earth that is thrown out. These slurry tbm treatment plant carry concrete rings so when the machine has moved ahead a certain distance next concrete ring is installed. This installation is carried out with the help of hydraulic rams. Designing of concrete tunnel lining is carried out of carefully as they have to last many years. Slurry tbm treatment plant is kept in check with the help of an in build system i.e. laser system. This layer guidance helps to keep check that the machine remains on planned tract.On an average, 50-60 feet per day is excavated by slurry tbm treatment plant. Behind these are backup mechanism called back-up system. These include conveyors, systems to remove earth, ventilation and transport mechanism, slurry pipeline and control rooms. 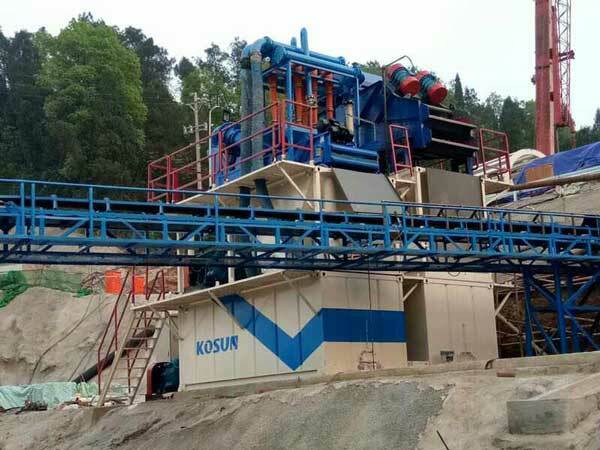 Slurry TBM treatment stations of Kosun manufacturer that focus on oil drilling, environmental protection 25 years and other areas of mud water treatment, mud separation solutions and equipment supply, Kosun Slurry treatment system are widely used at home and abroad. 1. Shield mud dehydration centrifuge, sewage dehydration correct. Dehydration centrifuge with high efficiency, energy saving, balance, high temperature, wear resistance and so on. Industrial centrifuges were born in Europe, such as the mid-19th century, there have been three-foot textile dehydration centrifuge, and the sugar factory separation of crystalline sugar with the hanging centrifuge. These early centrifuges are intermittent and artificial slag. The centrifuge has a cylinder that rotates about its own axis at high speed, called a drum, usually driven by a motor. Suspension added to the drum, was quickly driven with the drum at the same speed rotation, under the action of centrifugal force components separated, and were discharged. Usually, the higher the drum speed, the better the separation effect. 2. 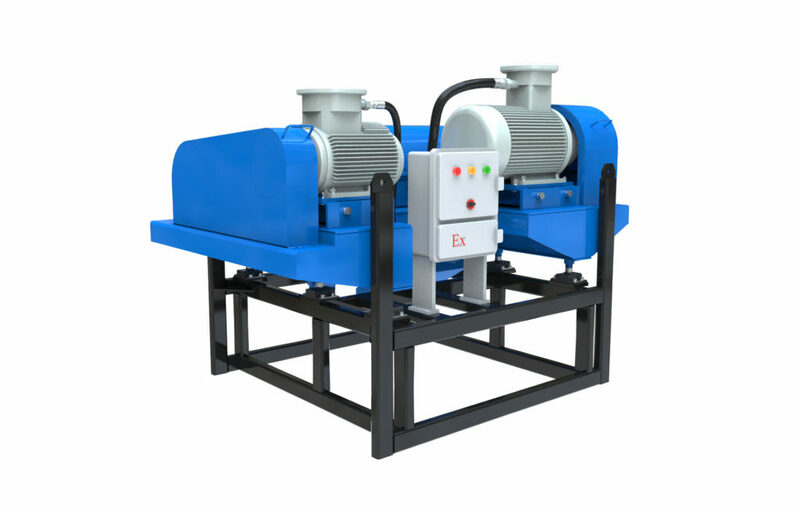 Decanter centrifuge in environmental protection applications mainly refers to the industrial and civil wastewater treatment process of sludge dewatering. Today’s environmental problems become the focus of common concern around the world, in this context, the value of the decanter centrifuges is reflected in the previous sewage plants or related treatment plants are self-settling or the use of belt filter press sludge dewatering concentration, The test shows that the sludge moisture content is reduced from 98% to 80%, and the volume can be reduced by 10 times. Because of this, the decanter centrifuge has the characteristics of large capacity, automatic operation and good dehydration effect in the environment The field of protection has been widely used and promoted. Decanter centrifuge single product sales accounted for about half of all centrifuge products, laid its irreplaceable position. In foreign countries, mud treatment equipment can choose] decanter centrifuge. TBM Slurry Separation System was built in the United States in 1853 for construction of Hoosac tunnel. The first tunneling shield was successfully developed in 1825 by Sir Marc Isambard Brunel however, it was not opened till 1843. From last two centuries development of TBM slurry separation system is carried out. However in past few decades some great developments are seen. Newer machines can now excavate in both conditions i.e. hard rock and wet soil. These can also pass through a soil tunnel and a water filled fault zone under a river. TBMs having circulating cutter were patented. Other inventions included – metal tins with rotating drums, teeth embedded in circulating plate, metal teeth in revolving belts. TBM slurry system were used to bore tunnels below the great Niagara Falls the diameter of this TBMs was 14.4meters. It was named “Big Becky” after Sir Adam Beck. In 2013, Earth pressure balance TBMs was produced. It had a diameter of 17.45meters. It was also called “Bertha” prepared for highway 99 tunnel project in Seattle, Washington. Though due to dome mechanical error it was stalled in Dec,’13 but by Oct,’ 16, it had finished excavation of 5,085 feet of the 9,270 feet tunnel route planned at start. Martina, it also known as world’s largest hard rock is of diameter 15.62m and total in length of 130m. It has thrust of 39,485 t and 4,500 ton in weight. Its area of excavation is around 2,070 sq ft. World’s largest slurry TMBs, was built for the Tuen Mun Chek Lap Kok link situated in Hong Kong. It had a diameter of 17.6 meters. TBM Slurry Separation System gain well recognized by clients all over the world because of its high quality and best after service sales. TBM Slurry Separation System is the new pulp and adjust the pulp through the pump and pipeline to the shield excavation surface. Cutter cut down the dry soil and water to be mixed into the mud, through the pump and pipe will be mud to the ground to the ground shield water separation system to adjust. TBM mud system is mainly composed of pump piping and supporting parts and so on, through the shield mud separation system mud water monitoring system for automated operation. TBM Slurry Separation System can provide excavation mud for excavation construction in a timely manner to the excavation surface. The technical index of mud with high quality bentonite must meet the requirements of forming mud and stable excavation in high permeable sand Claim. In addition, the TBM Slurry System can promptly cut the sand formed by cutting the soil to the ground for separation and treatment, and then adjust the use of recycled mud. TBM Slurry Separation System is to cut down the soil sand formed mud, through the fluid output. Separated by sand and water, and finally the sand will be abandoned to recover the mud pump into the adjustment tank processing system. According to different classification TBM mud treatment system shield excavation method can be divided into: open, mechanical cutting, grid, TBM MUD separation equipment and extrusion and so on. In order to reduce the formation of shield construction disturbances, HDD / CBM / TBM drilling mud recovery system can be through the jack shield to cut through the soil, and then in the incision excavation and transportation. TBM Slurry Separation System of Kosun gain well recognized by clients all over the world because of its high quality and best after service sales. Welcome to contact us if you need. TBM mud system has a good effect on the mud produced in the shield construction. TBM slurry separation system is the module system structure. The TBM mud system is designed to handle the various mud used in common shield construction techniques. TBM mud system and drilling and blasting are being used for construction of tunnels. Drilling and blasting uses various explosives or gas pressure blasting for breaking the rock to be excavated. Before the practice of TBM system separation use drilling and blasting was the most economical ways to make tunnels through hard rocks. Even till date drilling is practiced in some places. The decision as to which mechanism for making tunnel is to be used depends on the length of the tunnel. Cost of TBMs is high but due to their fast rate of penetration and less man power necessity, per meter cost in long tunnel is comparatively very less. Even the condition of ground has to be taken into consideration as to which mechanism is to be used. With growing population they is also a need of new traffic control system. Many infrastructure companies have made new tunnels of hundreds of kilometers using tunnel boring machine separations. TBM slurry separation system with wide range of diameters and different types are efficient to tunnels in all ground conditions. – Earth pressure balance shield TBM slurry system can be used for road tunnels. As the development of the cities is taking places, less space availability is common issue faced. To solve this governments have started using underground tunnels for transportation of oil and gas pipelines, telephone lines, sewage and water system. – Hydropower – construction of small and large hydropower plants require shaft construction and tunnel boring machine separations. These provide efficient infrastructure. – Transportation of oil/gas underground- underground tunnels can be used to transport oil and gas cost effectively, quickly and safely. Underground mining conditions have now changed with tunnel boring machine separations. They are used in mining for constructions of inclined excavating shafts and vertical sinking shafts, transport tunnels, production shaft or transport access, etc. These offer safety of worker and also time of construction is significantly reduced. Thus the overall cost of the project is minimized along with its time scale to be finished it. TBM Slurry Separation System have high quality and best after service sales with more than 20 years experience as brand leader. Welcome to contact us if you need. TBM Sand Washing System is an indispensable supporting facilities in modern shield construction. Shield construction is the use of shield tunneling machine in the railway, highway, subway, municipal, water and other pipe tunnel excavation construction, with the shield The improvement of the technology, the shield construction workers TBM Sand Washing System equipment selection, technology and other aspects of the higher requirements. 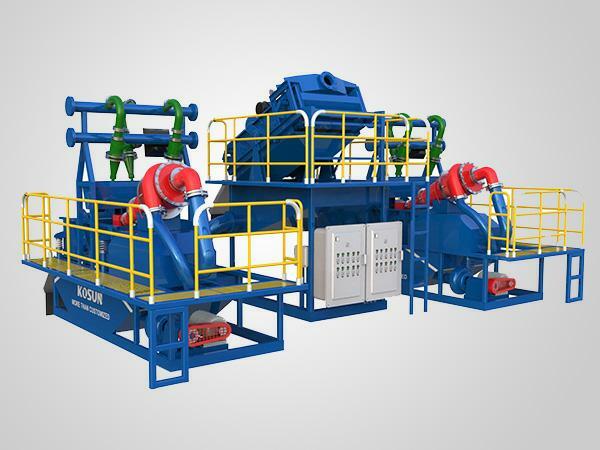 TBM Sand Washing System mainly comprises a vibrating screening device, a swirl sieving device and a pressure filtering device, the vibrating screening device and the swirl sieving device are connected, the swirling sifting device and the filtering device are connected with Stack or connect with a conveyor. TBM Sand Washing System can be different according to the size of different particle separation treatment, make full use of excavation of soil in the favorable particles, improve the system’s self-pulp capacity, and the separation of water into the mud system for recycling, Different terrain situation flexible adjustment, construction and operation to reduce the shield sand washing system to cover a large area of ​​the plagued, to avoid the mud on the environment pollution. 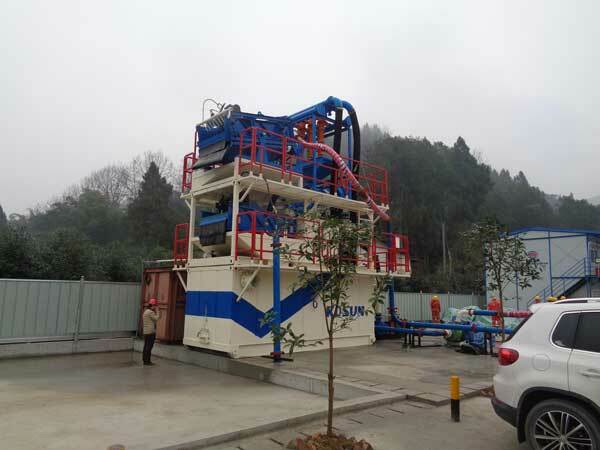 Modern TBM Sand Washing System in the design of more emphasis on environmental protection, from the pulp, pulp, separation equipment selection and waste emissions and other aspects of more prominent environmental philosophy. According to the previous construction experience at home and abroad to scientific and technological innovation as the standard, by adding mud removal device configuration standards to improve the current domestic separation of the lower level of the situation, so that the separation of particles to about 15 microns higher than the domestic standard, greatly reducing the slurry Preparation, reducing the cost of the project. Truly re-use of waste pulp to improve the progress of construction. TBM Sand Washing System of Kosun with high quality and best after service sales in this aspect with more than 20 years experience and welcomed all over the world.